At The Footcare Centre we aim to deliver excellent outcomes for all foot and lower leg complaints. We are passionate about every aspect of the podiatry profession, from diabetic foot assessments through to in-depth biomechanical and gait analysis. You can be guaranteed we will provide you with the best possible podiatry service for your foot care needs. With a strong sporting background we have a passion for Sports Podiatry, treating clients from a large variety of sporting codes for all lower limb injuries and conditions. Modern techniques such as computerised video gait analysis are utilised to ensure the most thorough assessments are made. Foot health is vital to achieve peak performance, we want to work with you to achieve this, enabling you to perform at your best. The Footcare Centre supply the full range of the Dr. Comfort footwear. The Dr. 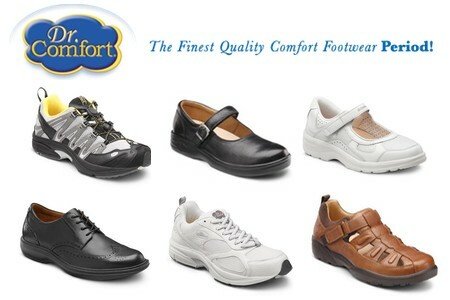 Comfort range is an ideal brand for people with diabetes and those with “hard to fit” feet. The podiatrist will measure your feet and to ensure you walk away with the correct fitting shoes for your feet. Dr. 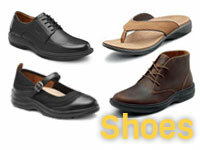 Comfort shoes come in a variety of styles for both men and women; from dress shoes, casual shoes, walking shoes, slippers and business shoes. Providing quality podiatry services at our St Peters and Hampstead clinic's. Free parking at the rear of the centre! © 2013 The Footcare Centre. All Rights Reserved.